Light up your promotion with this quick-ship Mason jar – 24HR! 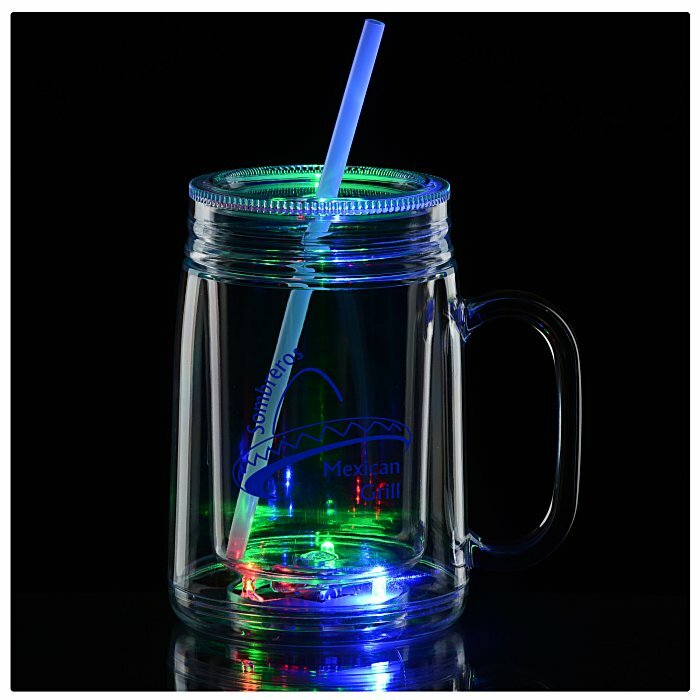 Light up your event with these light-up LED Mason jar tumblers! The three LED bulbs (red, blue and green) light up the bottom of this acrylic Mason jar. Dual walls keep the light-up mechanisms completely separate from your drinks--and insulate them too! Contains all the features of a traditional Mason jar including a handle and screw-on lid with removable straw. Includes three replaceable button-cell batteries. Your price includes a one-color imprint on the front of the jar.